After a short break we're back with another Misfit Of The Month feature. We've delved into our directory of alternative wedding suppliers and selected Shimmering Ceremony to take the spotlight this December. 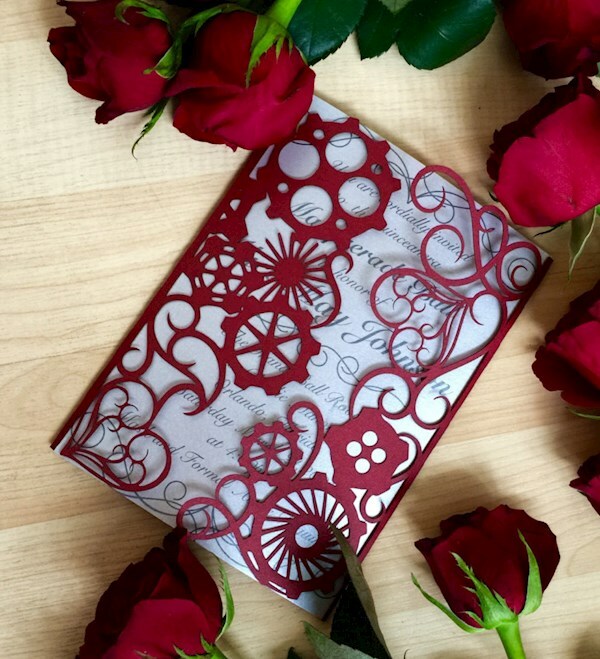 If you want awesome wedding stationery, keep reading! Hi, I am Jaclyn Mocabee owner and designer for Shimmering Ceremony Invitations. 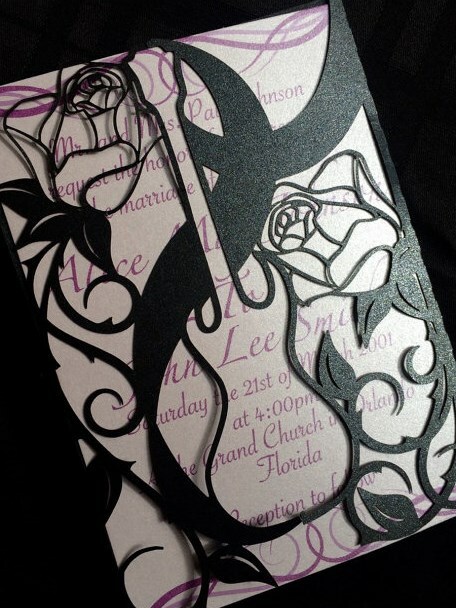 My husband and I created a specialty laser cut invitation business in Palm Beach Florida. We began creating invitations in 2015 just after i began looking for invitations for my own wedding. I didn't like the limited changes you could make with most invitations. 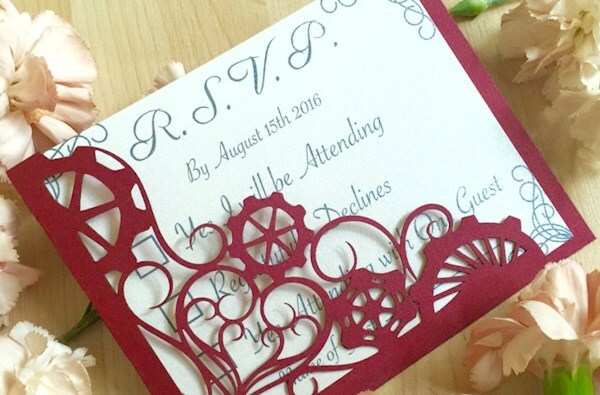 After falling in love with intricacy and uniqueness of laser cut pieces, they became part of my own wedding. 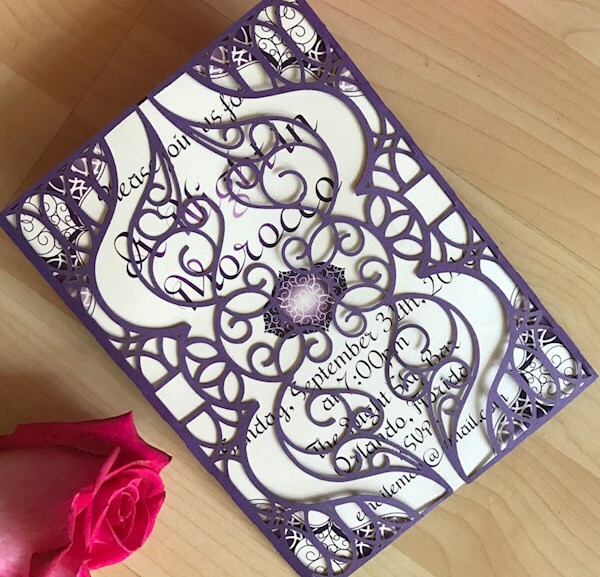 However, I was disheartened when I couldn't find any unique and detailed designs that would fit my wedding, which led designing my own invitations. One thing led to another and now my husband and I design and create invitations full time. 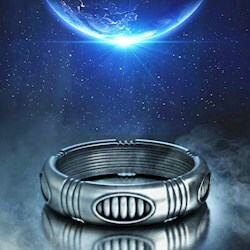 What sort of products can people buy from Shimmering Ceremony? As our name suggests we create wedding invitations primarily. However we do offer stationery and engraved wooden pieces that can fit into any event. All of our pieces are either laser cut or engraved and can be customized to fit any need. Are there any particular styles you specialise in? Although I enjoy the challenge of a new style, I tend to create detailed designs that take iconic images of specific themes and mix them with traditional wedding scrolling and designs. 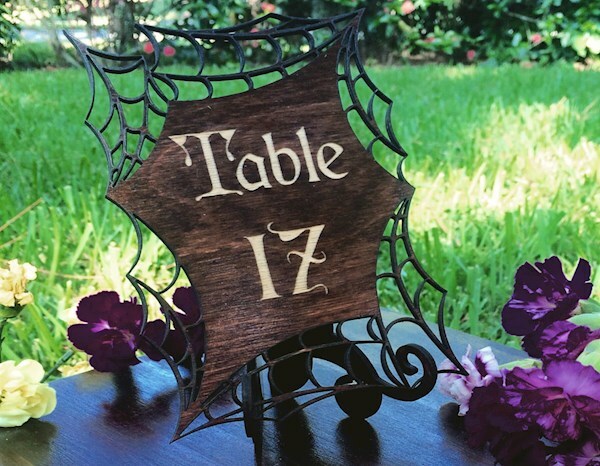 My gothic, steampunk, and Egyptian invitations are all perfect examples of the mix of modern themes and wedding style. 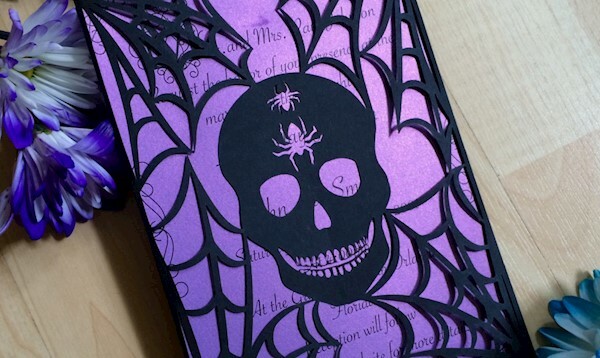 We particularly like your Gothic and Steampunk designs, where does your inspiration come from? For both my Gothic and Steampunk designs I started with research for what these unique brides tend to like. 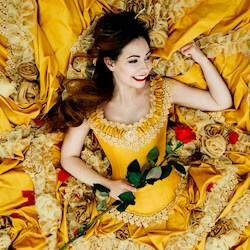 I will research everything from the details on gothic wedding dresses to the color choices in steampunk art to get a feel for what makes this style unique and beautiful. I then take that style and mix it with a little elegant detailing to create a design that both represents the theme and is elegant enough for a formal affair. 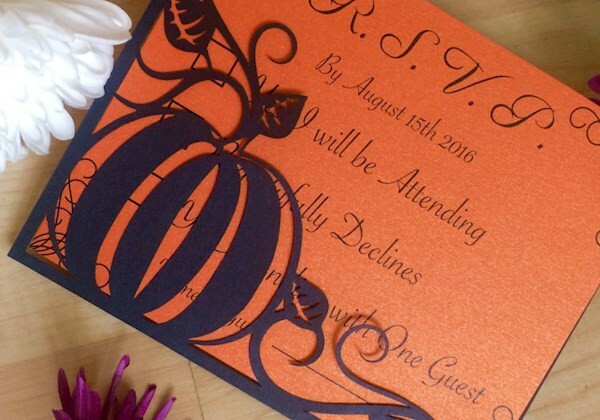 A majority of the items we sell are our laser cut invitations with just over half of them for weddings. 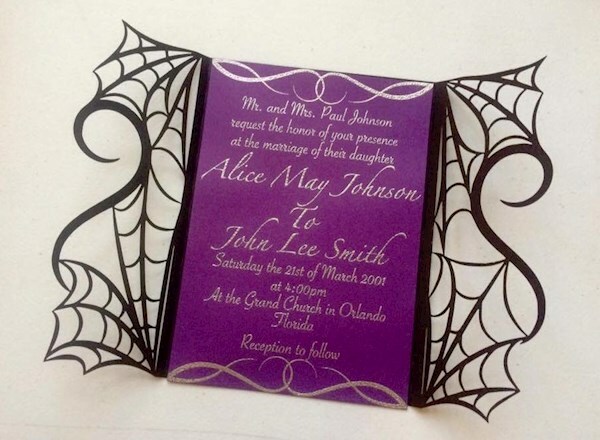 Our most popular designs include our gothic gatefold, steampunk gatefold, and Mardi Gras invitation. 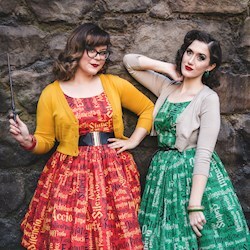 Do you have a favourite design/theme? Although I tend to love every design when I create them. 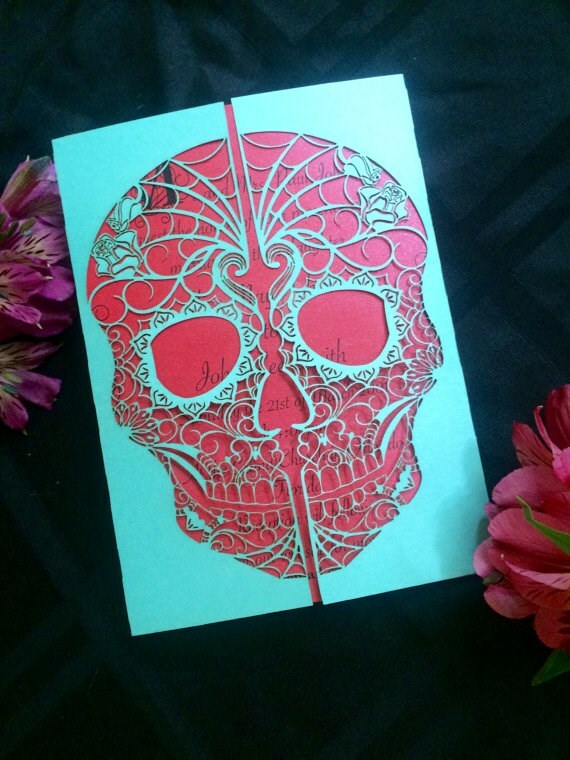 I will have to say my favorite design is my Day of the Dead Skull invitation. It took me three days to create it and was the most detailed piece I had ever accomplished. To this day I'm still amazed seeing the laser do such fine detail. Without giving away your secrets can you tell us a bit about your work process? We design everything you see ourselves using a graphic design program. 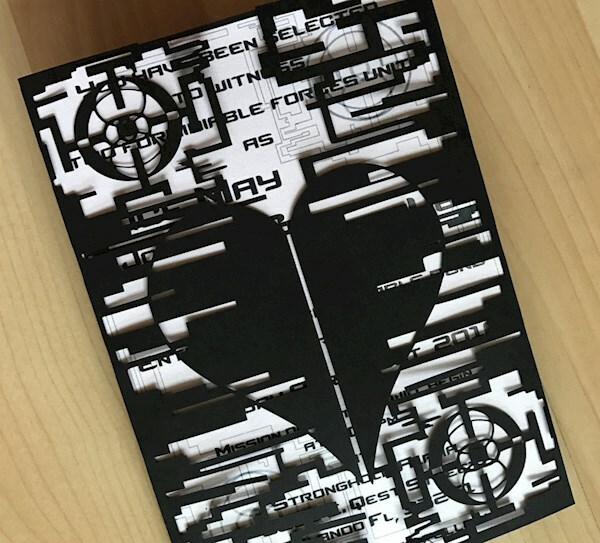 We own multiple lasers which cut the design from a wide array of card stocks. Afterwards, we will clean each of the gatefolds individually, fold, print, and package. Yes, and we believe it's one of the great things about our products. Since we are the original creators and do not resell wholesale, we can make any changes you could imagine or design completely new pieces. 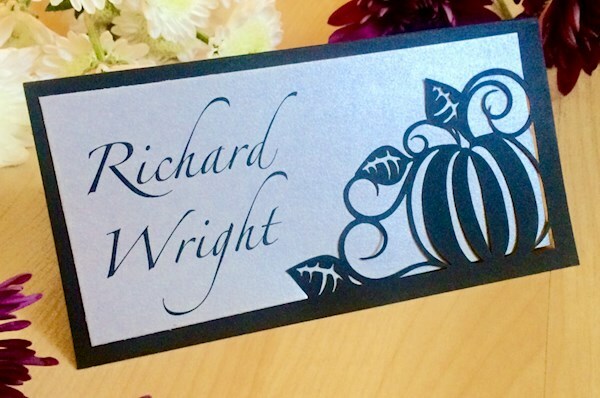 We have done custom monograms into centerpieces and initials into custom gates. 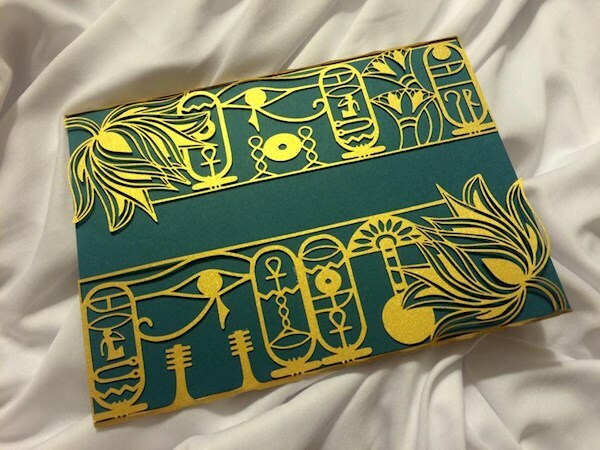 A couple of our current products were made due to a custom request such as our Egyptian gatefold which conations "I Love You" in Egyptian hieroglyphs. Absolutely. A couple include a pregnant vampire and a gothic-steampunk murder mystery theme. 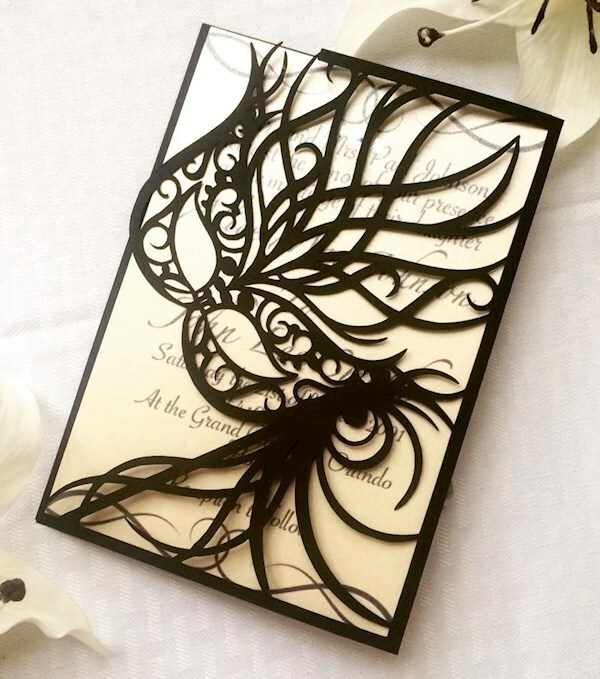 I truly enjoy creating new designs and being able to watch them go from some lines on a computer screen to physical invitation. Can you talk us through what you feel makes Shimmering Ceremony stand out from the crowd? I feel our mix of customization, designs, and customer service definitely makes us stand out. We focus on having quick responses to clients and are available seven days a week including weekends and holidays. 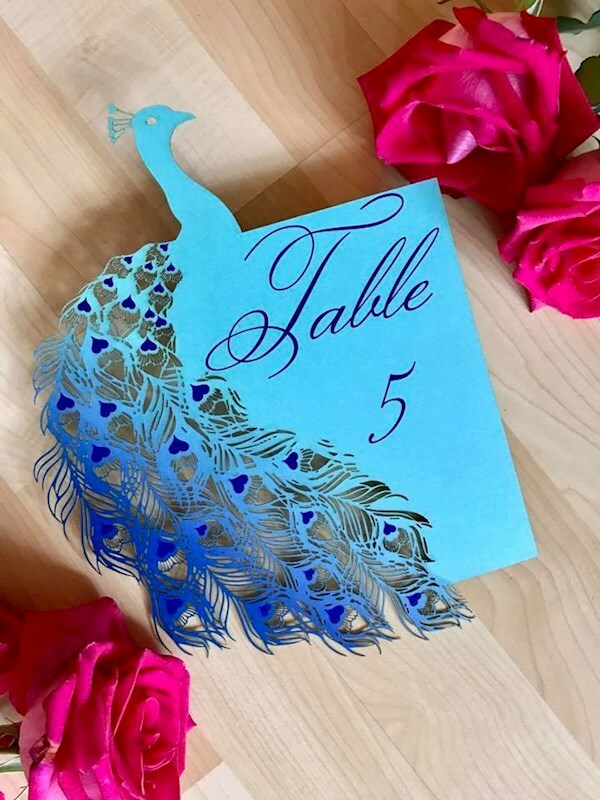 We do our best to make our invitations unique and customizable while still keeping them competitively priced in the marketplace. 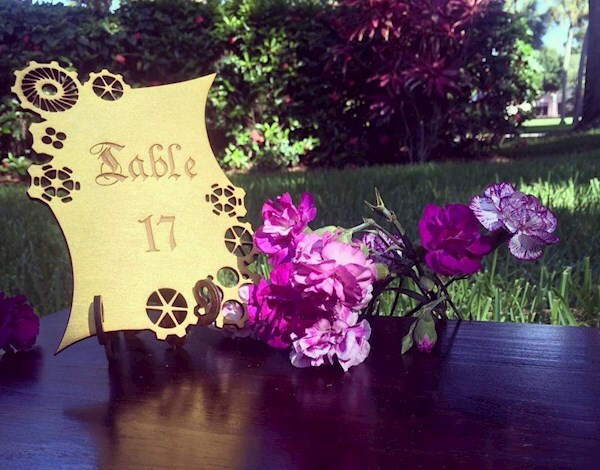 We also invest in new methods and technologies to create laser cut products that will leave the guests envious. We understand that we are creating the first preview to someone's grand once-in-a-lifetime event, and sometimes it's the only part of the event that they will be experiencing. To be blown away. Furthermore, our clients can expect that we stand behind our work and will always make sure they are completely satisfied with their product or we'll fix it to make it right. I strive to make the perfect product for every client and can only hope they will fall in love with our work. My biggest tip for alternative brides is to make the wedding that they are in love with. Spend the time to find those perfect pieces rather than settle. Always check up with our social pages as we are always working on something new! 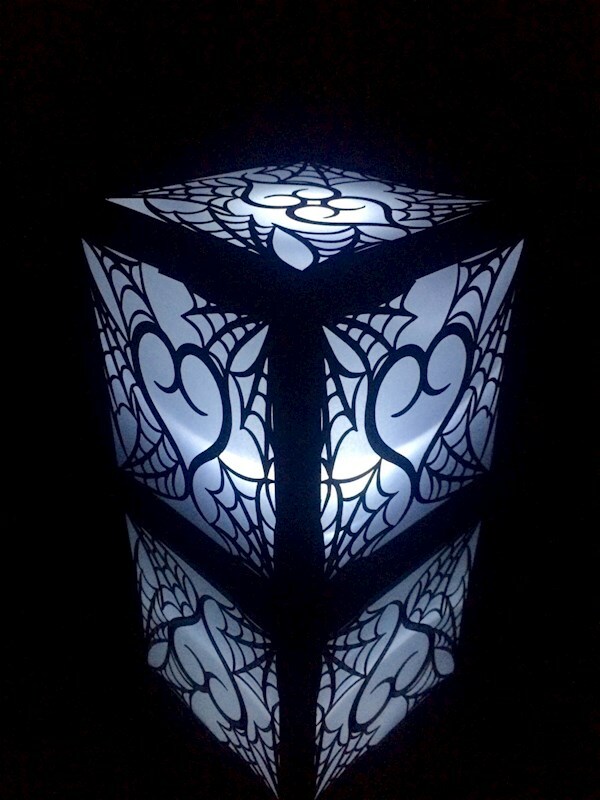 These lanterns make great wedding table centrepieces! Thanks for talking to us, keep up the awesome work! Oh, and Merry Christmas!! !